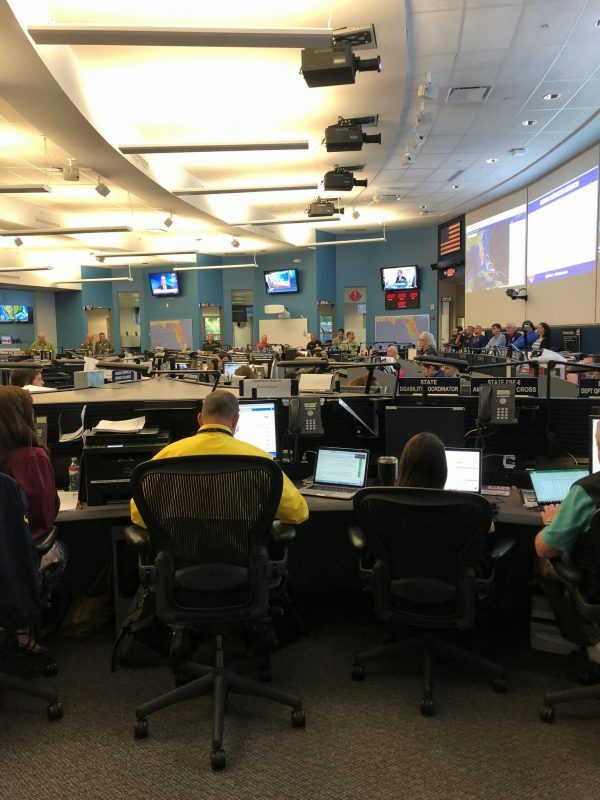 The Florida Baptist Disaster Relief Team recently had the opportunity to participate in a state training event known as Hurrex at the State Emergency Operations Center (SEOC) in Tallahassee at the beginning of May. 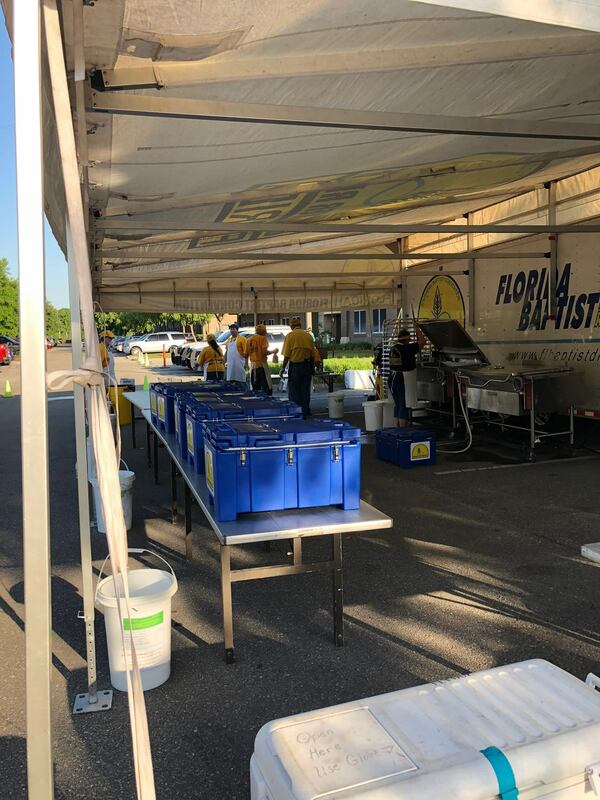 “Every year SEOC puts on a hurricane training and we bring a volunteer or volunteers to get them working alongside other state personnel,” said Delton Beall, Florida Baptist Disaster Relief state director. The SEOC serves as the central clearinghouse for disaster-related information and requests for deployment of assistance. Relief organizations like the Red Cross and the Salvation Army, as well as other agencies, participated in the annual training and ran through several hurricane scenarios. DR volunteers fed relief organization participants at this year’s Hurrex training. “The state looks to us to assist in mass feeding,” said Beall of Disaster Relief’s role. This year’s training scenario was a “doozy of a storm” according to Beall even though at the time of the interview it was still a hypothetical 24 hours away. But even at that early stage, Beall said all mobile kitchen sites had been pre-established for quick mobilization after the storm. Volunteer Kevin Kite attended the training to work on improving his response skills and building relationships. Kite believes strengthening relationships between relief organizations improves the overall storm response because better understanding leads to a greater impact. “I worked on procedures and what we would do in a storm response but I also had the opportunity to further relationships with other organizations,” he said. On day two of the four-day training, the DR volunteers served lunch for all the participants and had the opportunity to showcase what they do. 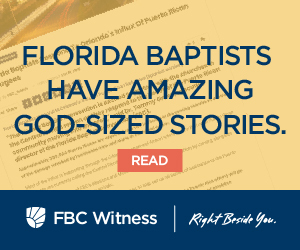 “It was a privilege to see how the state looks to us as Baptists during storm response,” said Kite.